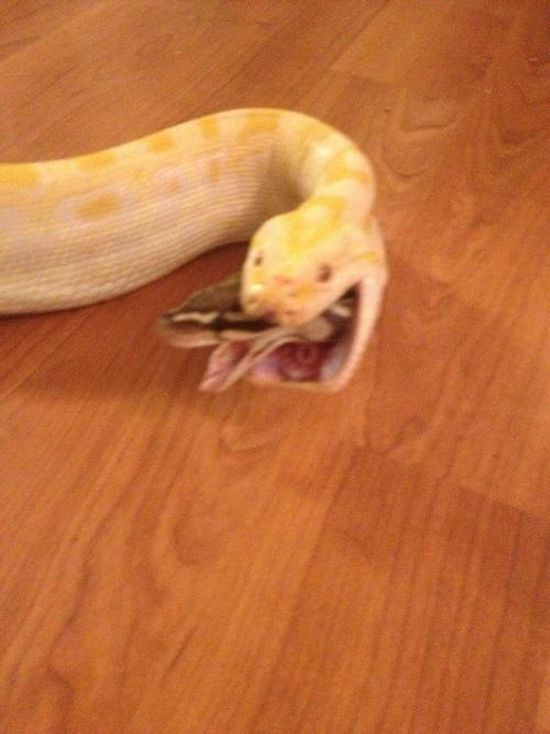 I'm pretty sure the snake was dead before the eating started. 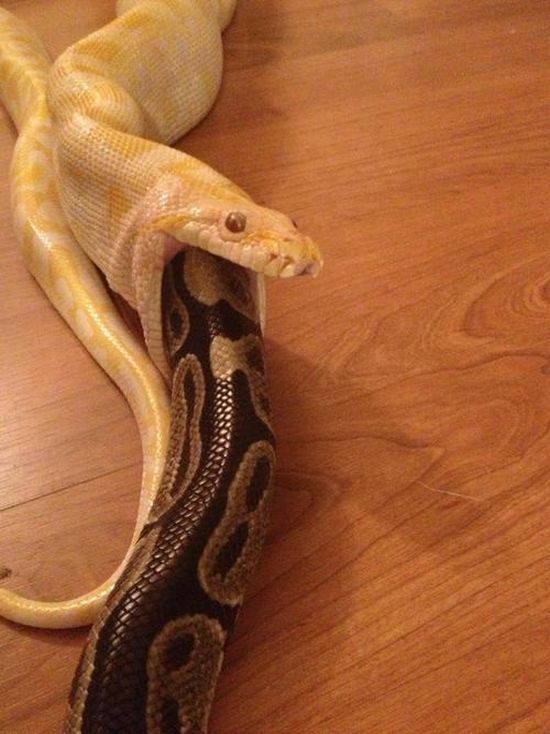 Or else the albino python would've started eating the head first. Looks like the head was last . . . .